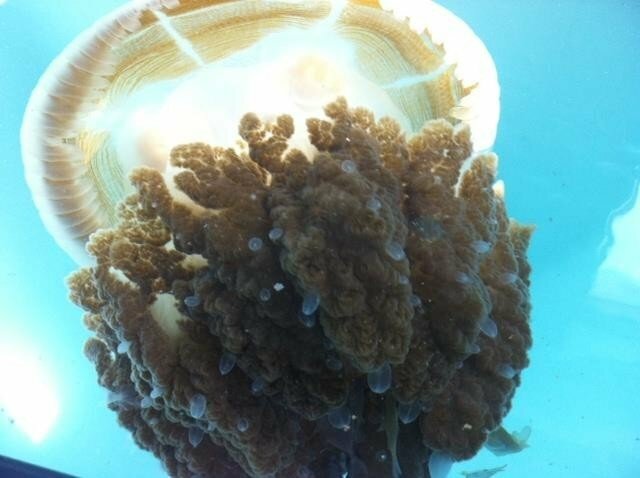 Underwater World aquarium in Australia has released the very first photographs of one of the world's rarest jellyfish -- an animal not seen in more than a century, once believed to have gone extinct. The jellyfish, a Crambione Cookii, was recently spotted by aquariist Puk Scivyer while releasing a sea turtle off the coast of Queensland. "As soon as I saw it I realised it was a species I'd never seen before," she says. "But to then discover I was the first person to see this species in over a hundred years was just incredible." Crambione Cookii were first identified in the 1860s, but had not been seen alive since 1910. Since so little is known about the jellyfish, biologists had to reference century-old drawings to confirm Scivyer's discovery. Now, by caring for and studying this specimen, aquarium biologists gain insight into the mysterious species and how it managed to go undetected for so many decades.